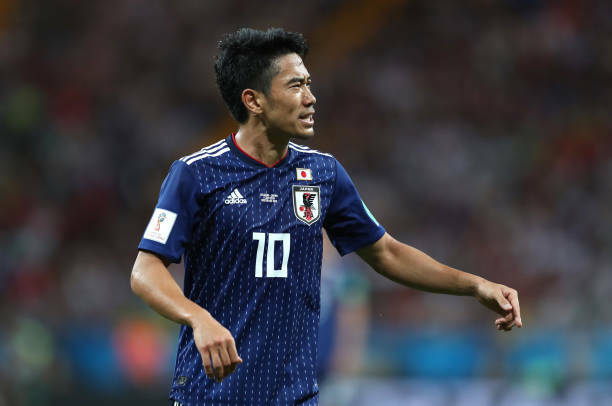 Besiktas are keen on signing Borussia Dortmund midfielder Shinji Kagawa on a permanent move according to club president Fikret Orman. Kagawa joined the Black Eagles on a six-month loan move in January. The Japan international has hit the ground running at the Black-Whites and the board are keen on extending his stay beyond the summer for both footballing and commercial reasons. Besiktas have been targeting the Japanese market and club president Fikret Orman has been in the East Asian country over the past week along with club directors. Orman was quoted by Turkish-Football as saying: “We want Kagawa to stay, hopefully, we will reach a deal. Kagawa has three goals and one assist in six appearances for Besiktas in the Super Lig. The Istanbul based outfit have been targeting the Japanese market and recently signed a sponsorship deal with the newspaper group Mainichi and the Besiktas basketball team is also sponsored by the Japan Sompo insurance company.